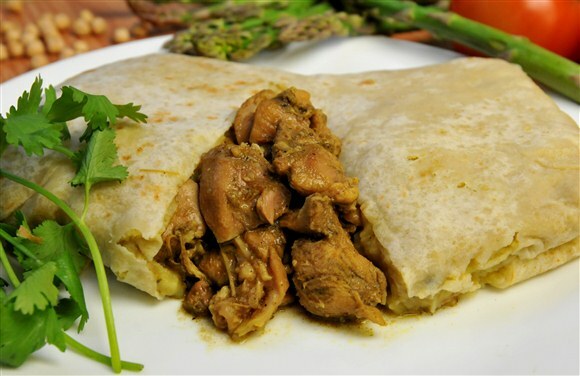 Caribbean Chicken Roti! A meal on it's own. Cook everything (except the roti skins and frozen peas and carrots) in a bubbling gravy. Add the carrots and peas during the last 5 minutes of cooking. Heap 2 tbsp chicken mixture on a roti skin...fold and enjoy! This post received a 30% upvote from @upme thanks to @richsis! For more information, click here (https://steemit.com/steemit/@upme/introducing-upme-upvote-service-you-will-get-from-30-to-100-upvote-randomly-try-it)!